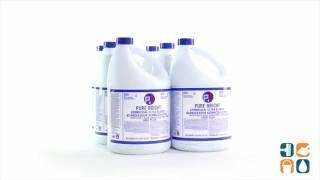 This Pure Bright bleach is economical, yet strong enough to sanitize and disinfect anything that needs cleaning, including bathrooms, shower stalls, toilets, counter tops and food preparation areas. As a disinfectant, germicidal bleach is effective against bacteria and viruses such as Ecoli, HIV-1, salmonella, staph, and Hepatitis A, just to name a few. Although Pure Bright bleach is a disinfectant often used as a cleaner, don’t forget that it can also be used in your washing machine. Bleach helps to make whites brighter and whiter, as well as disinfect white towels, soiled linens and undergarments that need sanitizing as well as washing. Includes 6 gallon size bottles. I use the product in our well chlorination. I use this product in sanitizing our water wells for public use! I use this product because it is NSF 60 approved to disinfect drinking water in small public water systems. 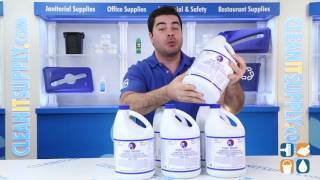 I am extremley happy with the performance of this product and Clean it Supply as a distributor. Shipping seems to be a problem due to damaged or missing products. I use the product for drinking water disinfection because of its NSF 60 approval rating. Thank you for carrying this product! I use the product to disinfect potable water systems because of its NSF 60 rating. I find it has excellent results for this purpose and highly recommend it to others for sanitizing purposes. 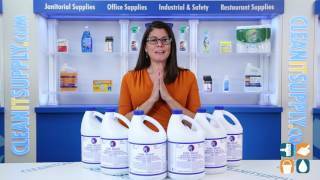 Performs great as a germicide and cleaner, and is very competitive in pricing.